What happens when teams from a university computer science department work with dev teams in the business world to see their projects realized outside of an academic setting. At Kanbanize, we can’t help but agree that if we had known about Kanban while we were all still at university, our professional and, dare we say, our personal lives would have been loads easier. All it takes is the right method of applying efficiency and a little something extra in its principles that takes you even further into the realm of productivity. We didn’t know it then but our youth was completely coloured by miscommunications, no streamlined processes whatsoever and a work ethic developed on the basis of which professor scared us and which one was more laid back. In our professional lives, we’ve learned a lot – not just from promoting Kanban and building our tool Kanbanize but also from our experience in the business world, which, as you might have felt, is demanding on a whole other level, unlike university life. That’s why we’re pumped when we discover that our tool Kanbanize gets used in university classrooms to manage projects in collaboration with companies beyond the institution itself. 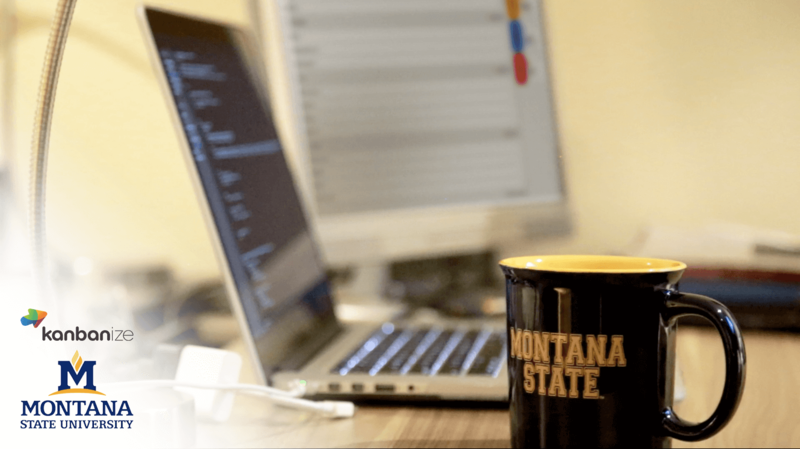 Computer science students at Montana State University in the USA have started applying Kanbanize to the projects they execute as part of their “Software Factory” platform. Professor Clemente Izurieta and Mike, one of his student project leads tell us how they’re Kanbanizing in the interview below. What is the Software Factory? CI: It is a platform that provides the necessary processes and environment to deliver real products. It is about learning, sharing and growing entrepreneurial ideas that span the causal chain ?from inception to deployment. 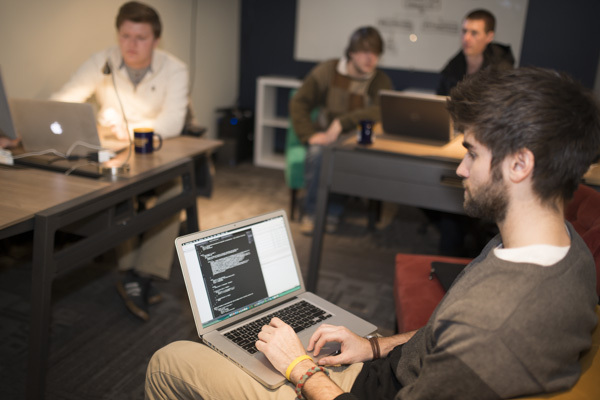 The Software Factory brings together teams of students from computer science and business to work with experienced professionals enabling unique cooperative projects that serve as incubation points for new ideas. The Software Factory idea has two principal components: 1) the physical space intended to emulate a real software development environment, and 2) the course sequence, where two interdisciplinary teams from the computer science and business departments will work in parallel to deliver two products. The Software Factory uses a Lean Startup philosophy –to produce a minimally viable product. Sometimes in the middle of a project, student teams will produce an initial prototype that can be used to generate customer feedback. This is encouraged and forces teams to interact with stakeholders to establish verification and validation of ideas in progress. This approach reflects current techniques in industry, and matches well with lean methods found in startups. Benefits to industrial partners include the visibility they get into the university, the establishment of a pipeline of potential future employees, early introduction to the company’s products, and access to the best students. Similarly, researchers and students gain practical experiences by using industry-as-a-lab. A Software Factory generates enthusiasm and synergies between participants not found anywhere else. How is Kanbanize used at Software Factory? Teaching software development in environments that mimic industry practices is essential for teaching applicable real-word development skills. In addition, these kinds of delivery based projects engage students in meaningful design work that encourages clear, sustainable code. 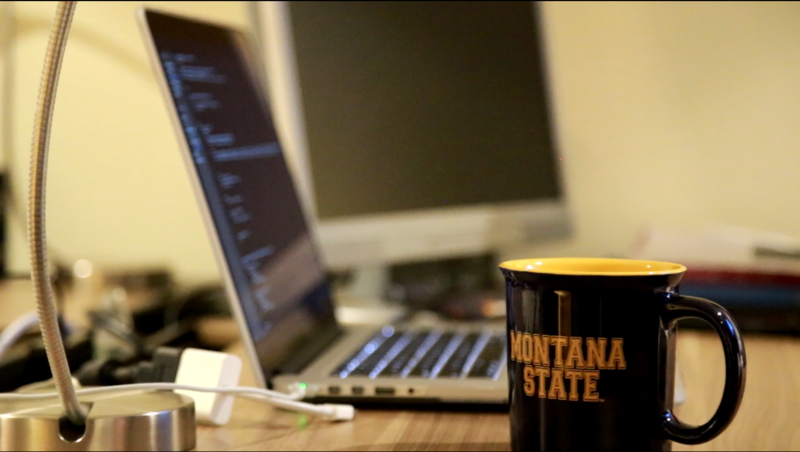 The Software Factory has provided such projects and environment to students at MSU for the past year. This project aimed to explore the effectiveness of such instruction for high school students with limited programming experience. 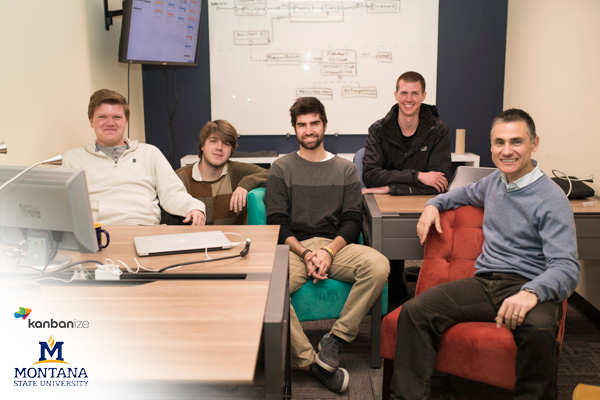 Three students from Bozeman High School were selected to work in a team with two undergraduates with the goal of creating an Android application. In the process, these students were exposed to Java, sorting algorithms, version control, and software development practices in an industry setting. We will discuss the challenges and rewards of this teaching method and the Software Factory for students so early in their computing education.” We also work with companies in the fields of crediting & finance, scientific software, printing, and mobile application development. Some of these companies are established and some are startups. What sorts of challenges did you have before applying Kanban? CI: We needed an easy-to-learn tool that would allow our students to have real time access to their tasks. The customer also wanted to specify or change requirements as they happened, without having to wait for scheduled meetings. The customer also wanted to track the progress of the students as they moved tasks from one swim lane to another. A third problem that Kanbanize solved was the opportunity for the professor to also add requirements to the project. How does Kanbanize help with your process as a professor at MSU? CI: After evaluating various products, I felt it was the powerful, yet easy to use, nature of the software that really made me choose it. You can make use of as little or as many of the features as you progress through the project. It really gives you an overall picture of a lot of details coming together as the project gathers some momentum. From a professor’s perspective, the analytics engines allowed me to see speed and task numbers, etc. We mainly used the simple metrics associated with number of tasks completed, the amount of time spent on tasks, etc. This was very helpful as a professor when comparing students for grades. I know that, as we take on more and increasingly larger projects next semester, we will begin to use more and more of the features that we may not have in previous projects. 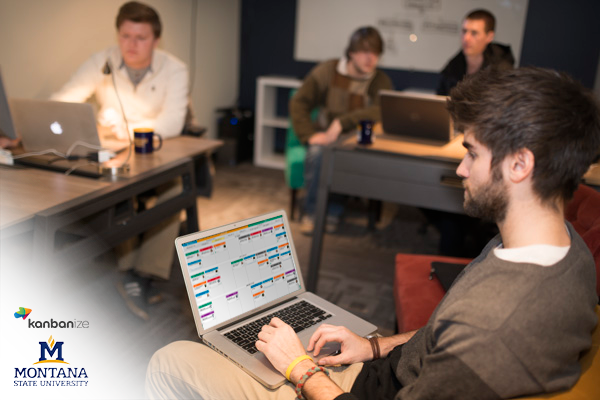 Mike, you were the student lead on one of the projects using Kanbanize – what were your impressions of Kanbanize? M: Kanbanize is simple to use, and highly customizable. Part of the idea behind the Software Factory is getting students to understand why processes like Kanban and tools such as Kanbanize are useful in software development. Being able to tinker with and adapt Kanbanize features to work with processes that we had discovered worked best for us was very helpful.The detailed analytics in Kanbanize was something that many of the other products we looked at were lacking and helped us maintain a consistent pace of development. With the Software Factory, we are essentially trying to create an environment that emulates industry while still in an academic setting. We were working on complicated projects & collaborating with businesses outside of the university. So far, we have really enjoyed Kanbanize as we are really interested in learning to develop using Agile processes and making the most of our resources. It’s exactly what we were looking for! These guys are definitely on the right track with the way they are preparing students to enter into the professional world equipped with experience, skills and the principles of Kanban!